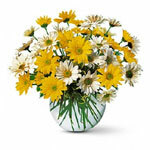 Easter is a celebration of new life and Easter flowers are a perfect representation of this. Like many festivals around the world, Easter is the time to be with family and friends and share the warmth of love and care. 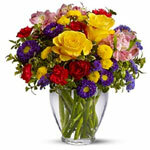 Send Easter flowers this Easter to that special someone to share the joy of Easter. Be your own Easter Bunny and brighten someone's Easter. 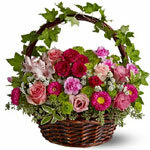 With our large network of florists, you can send Easter flowers to anybody and anywhere in this world. 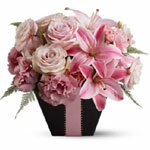 Petals florists can create beautiful flower arrangements and bouquets for your Easter gift. We have a beautiful selection of Easter flowers and Easter baskets in all shapes and sizes, perfect for every member of your family. Our floral gifts are not limited to flowers. Make your order special by adding a soft toy, balloon or Easter eggs to give your Easter flowers a little extra something.